Welcome to the August 2015 edition of the First Monday Library Chat. 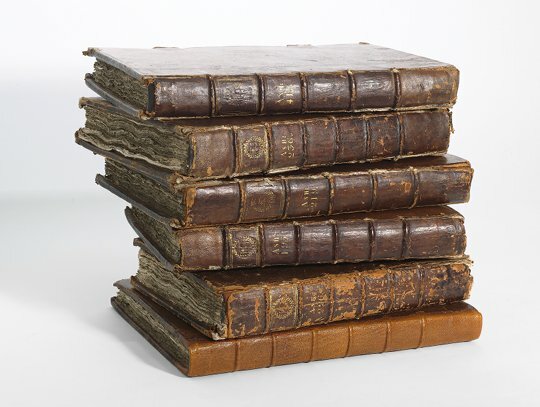 This month, Sarah Wheale, Head of Rare Books at the Bodleian Library, guides us through the rich recipe-related holdings at the Bodleian and updates us on the exciting changes happening in Oxford. Recipes occur in many of our collections, whether early or modern, manuscript or printed. They range from our earliest English cookbook from 1381, to Mrs Beeton’s The book of household management (published in parts between 1859 and 1861). The Library holds the papers of Martin Lister who published an edition of the Roman cookbook De arte coquinaria (1705), and wrote about the food habits of the Parisians in his late 17th-century journals. We hold a manuscript containing the recipes used by Ralph Ayres when the cook at New College in the early part of the 18th-century, and the Friedmann-Braun archive contains a handwritten recipe book given by Gertrude to her new daughter-in-law as a wedding present in 1927. There are all sorts of unusual cookbooks from the 19th– and 20th-centuries in the John Johnson Collection of Printed Ephemera which are often aimed at encouraging the use of new gadgets and foodstuffs. As a library of legal deposit we have thousands of British cookery books dating from 1824 onwards, and we are actively collecting pre-1850 cookery and home economics books – and have just purchased a copy of The lady’s assistant in the oeconomy of the table (1759) with a recipe for gingerbread written in at the back. The majority of our early modern recipes are not culinary at all but for a myriad of other things, including medicines, salves, remedies, cosmetics, magic potions, chemicals, inks, dyes, explosives, inextinguishable fire, and even cleaning products. Often they are described quite briefly in our various online catalogues with tantalizing entries such as “some French recipes for preserving vines against murrain’” (MS Bodley 733). For historians of science, it is almost impossible to talk about the Bodleian Library without thinking about the Ashmole collection. Could you give us an idea of the scope of the recipe texts within the Ashmole collection? 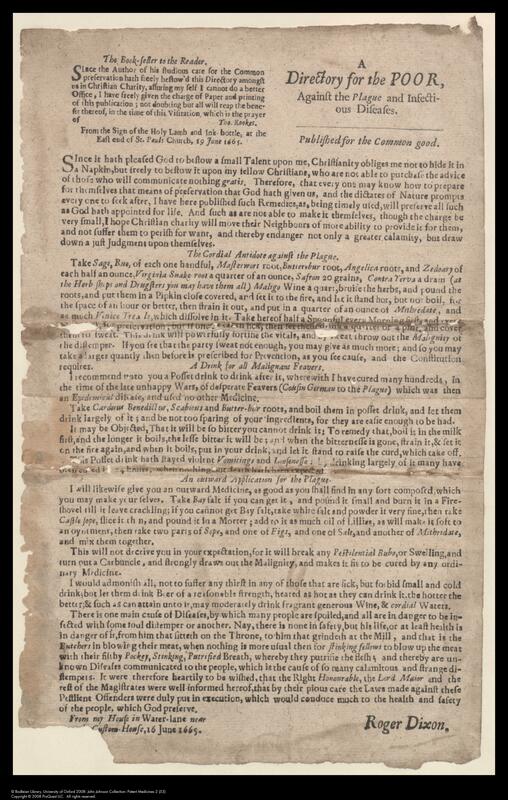 Elias Ashmole collected books and manuscripts related to many subjects, but particularly chemistry, astrology, astronomy, and kindred topics. The collection contains a few culinary recipes, including a 15th century English manuscript of sauce recipes, but the greater number are medical, magical and alchemical. His manuscripts are full of recipes for elixirs, compounds and tinctures, with the most interesting in the casebooks of Simon Forman and Dr Richard Napier. There are some 80,000 consultations recorded between 1596 and 1634, including many recipes, allowing us to judge their efficacy in some cases. A digital copy of Willam Black’s A descriptive, analytical, and critical catalogue of the manuscripts bequeathed unto the University of Oxford by Elias Ashmole is available via our online catalogue, SOLO. I had the pleasure of working in the new Weston Library and was in awe of the new building. It’s been an exciting few years for the Bodleian. Could you tell us a little about the changes and what this means for readers who want to consult manuscripts and other early material? For our readers it means that operations for special collections are now much more centralized with most of our staff, collections, services and library users all in one place. The landmark exterior of the New Library remains but what were once staff offices, a handful of specialist reading rooms and 11 floors of stack has been entirely transformed. There is a dedicated special collections library with three reading rooms. There are teaching and seminar spaces, a cafe, the Visiting Scholars Centre and the Centre for Digital Scholarship all onsite. The new state-of-the-art stack houses many of our collections and the gallery and open-stack areas have increased space for reference materials. There are also new spaces for visitors on the ground floor – two exhibition galleries, a café and a shop all set around the wonderfully light and airy Blackwell Hall. What tips can you offer to help users find recipes via your catalogue or finding aids? Our printed holdings from all periods are searchable via SOLO. Not only can you search the Bodleian’s collections but also those of most of the college, departmental and faculty libraries of the University too. As you might expect with such large holdings the work to add and upgrade our records is an ongoing process so do see our webpage for detailed tips and guidance, particularly if you are working on pre-1920 printed collections as entries in the catalogue can be quite brief. Manuscripts are catalogued separately and there are a variety of published catalogues and online databases to help researchers navigate the collections. Again there is extensive help online. The best tip I can give is to encourage everyone to email us and tell us a bit about what you are looking for. For those of us living afar, could you tell us a little more about how we might be able to consult your holdings via digitization schemes or virtual exhibitions? We have been digitizing special collections since the 1990s and there are several ways to gain access to our holdings remotely. Digital. 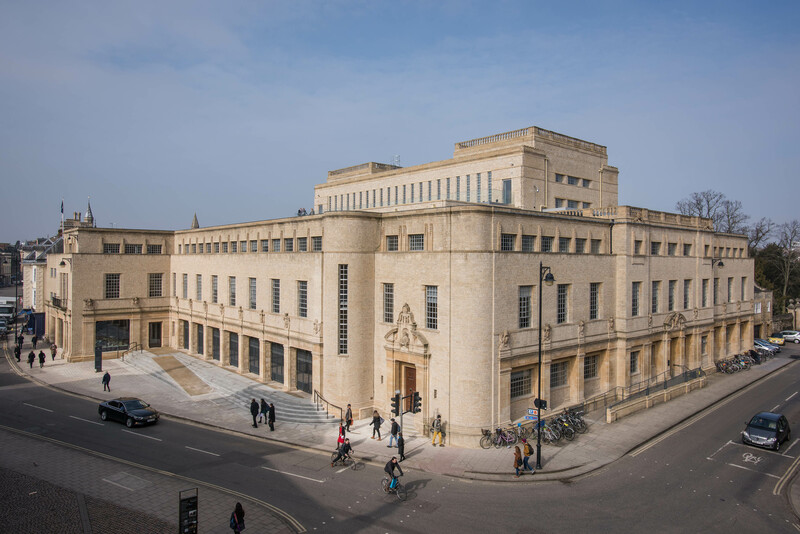 Bodleian is the main gateway, and there are thousands of individual images available via Luna We also have some of our exhibitions available online, including our current show, Marks of Genius. SOLO also holds full digital copies of many 19th century printed items created as part of the Google Books projects. Finally, can you highlight one or two of your favourite items? One of my favourite items in the Library is a recipe for a plague cure. It was published by Roger Dixon, an apothecary at the Sign of the Holy Lamb and Ink-bottle in Water Lane, London, during the devastating outbreak in 1665. This small handbill, entitled A directory for the poor, against the plague and infectious diseases gives Dixon’s own recipe for a cordial made from sage, rue, angelica, Virginia Snakeroot and saffron which would “by sweat throw out the malignity of the distemper”. He adds a further recipe for an ‘outward application’ against the plague, and another for a drink against ‘all malignant feavers’.